We offering high precision Brass,copper and various other metal turned and milled parts.we have also facility for Brass milled parts and stell milled parts as per customized requirements for better quality product we have CNC machines, VMC machines, SPM machines, semi automatic machines, forging press, power press, debering facility, profile projector, lab facility, casting facility, sworked shop, ware house facility, on-line inspection facility etc. we use software like 6-sigma for better cost saving and better qualified product, 5-s For staff training , SPC for online inspection facilities. 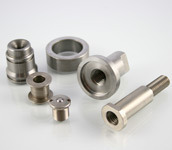 we are manufacturer of precision turned components as per cutomized using various technoloy like cnc and vmc machine. size : Rods od 2 mm to 200mm in hex,round,square and variuos section. we will be glad to develop the product as per customized. 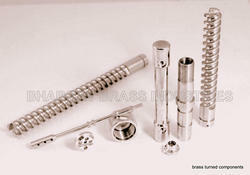 We are offering a wide range of Precision Brass Component. 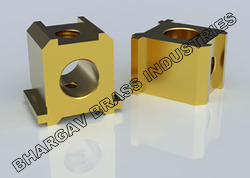 These Precision Brass Component can be manufactured as per the customer's specifications and drawings. Moreover advent machines and technologies are used to come up with a durable range like this at market leading prices. 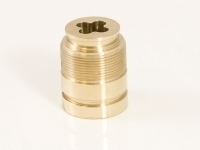 we are manufacturing brass turned and milled parts as per cutomized requirements. 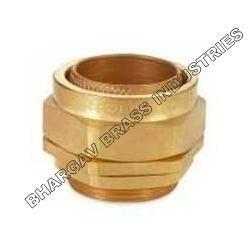 we are manufacturing a wide ranges of brass fittings for various following industry as per customized. Export to european coutry,usa,asian coutry,gulf country. 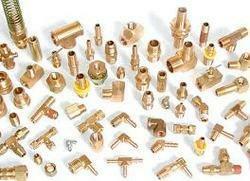 we are manufacturing a wide ranges of brass parts for various following industry as per customized. Looking for Precision Metal Component ?